A trip with plenty of uphills and off-road sections, technical downhills and challenging gradients, the perfect choice for most intrepid and expert mountain bikers. Show all details: information, elevation gain, map and gpx tracks! Organize with us your bike tour. It's easy: you need 3 days, a little bit training and by ebike you can ride it without problem! Are you an extreme rider? 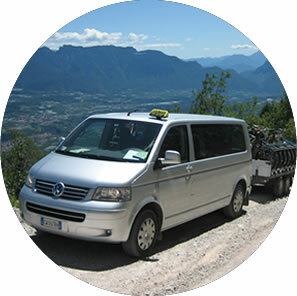 Add a Dolomiti di Brenta Bike Explorer tour to your holiday! Choose between your Explorer Bike Tours, and explore the unique territory of the Brenta Dolomites, from the valley floor to the foot of the glaciers, between meadows and fields, farms and ravines! If you have choosen your Explorer tour and you are ready to start, organize with us your personlised holiday. Add a day for every Explorer tour! Have already planned the Dolomiti Brenta Bike tour? If you haven’t you can rely on us! Choose the self-guided MTB tours that better suits you and we’ll book hotels, luggage transfer and provide you with detailed maps and all the hints to fully enjoy the tour! Do you prefer to organize yourself the tour? Here you’ll find all the useful information and suggestions on how to approach the tour: equipment, bike, accessories, clothing as well as organised tours with MTB guide. Mobility services: train, bus, taxi!